In an interconnected world, having the best networks available might be one of the tiny details, which set you ahead of your competition. Our expert team of engineers and software architects is ready to use their know-how and design an environment or solution that suits your needs. We deliver highly customized project and technical design, time frame and end-to-end mockups, all based on careful and detailed requirement engineering in order to know your needs even better than you do. PANTHEON.tech’s developers have broad experience with drafting and implementing solutions based on in-depth requirements engineering. Therefore, throughout any of our projects, the customer is the one to play the key role. The project is tailored according to the customer’s needs and gives them a full control over all of its phases. The whole project is divided into independently testable units that can be developed within a pre-defined time period. The build is demonstrated to the client at the end of sprint. It includes testing, launch and sustainability of network infrastructure. We’re also happy to integrate with existing platforms and create a hybrid solution to ease the transition. 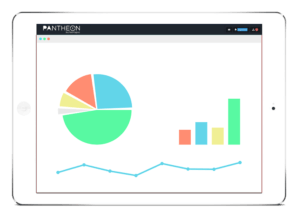 At PANTHEON.tech, we’ve had over a decade of experience with handling our own high-profile software development projects. Our project managers have spent years improving and polishing their skills in order to deliver high-quality results within a reasonable time frame. Now time has come to share the knowledge. From drafts to implementation and to its reviews and support, we’re ready to help your projects from the earliest stages to ensuring that everything works just fine. Does your company have great plans with the Internet of Things, but too few experts to implement them? Awesome visions for networking, but lack of staff with very specific experience? 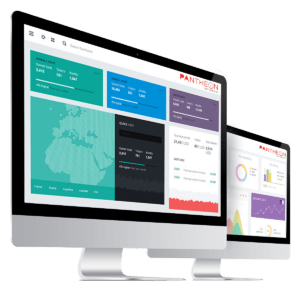 Eventually, each and every company might encounter similar problems, and that’s when PANTHEON.tech Management Services come into play. We’ll help you with your project from the earliest stages up until it’s implemented and fine-tuned. Which benefits will you enjoy as our customer? PANTHEON.tech provides Learning & Training services, which are a suite of state-of-the-art IT Education solutions. They enable enterprises to reduce costs, sharpen the business focus and deliver quantifiable ROI. We’ve also developed a system implementing a unique methodology for developing employee skills. 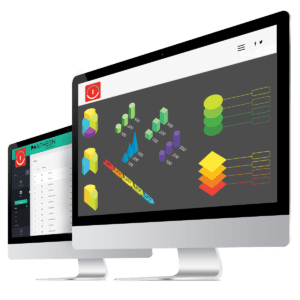 Customers leverage our project team’s expertise in different technology and educational tools in order to develop custom application, ensuring tangible returns on investment. We are a one stop shop for all business transformation, innovation and integration needs of higher education institutions. We develop analytical solutions, dashboards and reports that measure student learning engagement & effectiveness. On-site special trainings at the location of your choice with our IT expert, who will identify and help you progress in you IT skills. Private trainings for your entire team or department, delivered where it suits you best: be it your headquarters, a well-equipped training facility or a camping ground in the wild. Off-site virtual learning is a real-time, online training lead by our experts. Virtual trainings offer a flexible, as well as affordable, solution for companies and individuals, allowing you to participate from your home or office. We love what we do and have more than 15 years of experience. Thanks to their unique know-how, our engineers are among the best on the market. Guaranteed. We believe in building a healthy business relationship with clear and fair communication. Pantheon won’t let you down. We offer additional support to enable your smooth progress. The pace of development in network services is ever-increasing. To keep up with your competition, or even be one step ahead of them, you need to adapt fast. So why not join powers with the trendsetters?